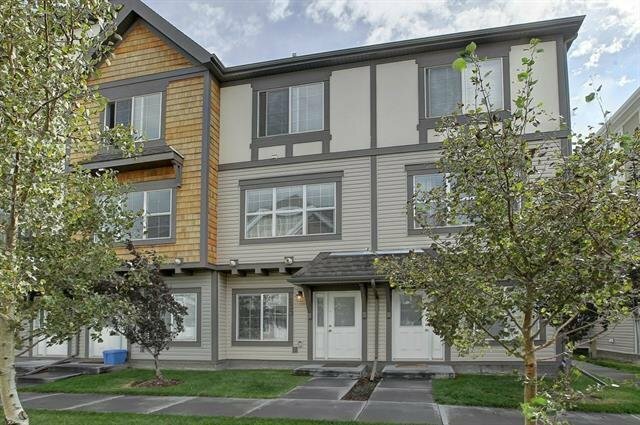 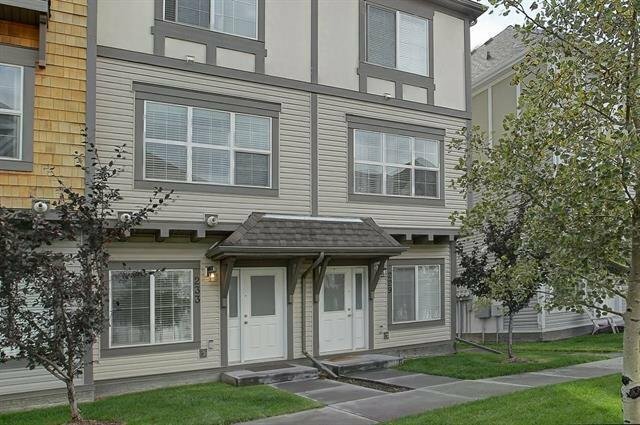 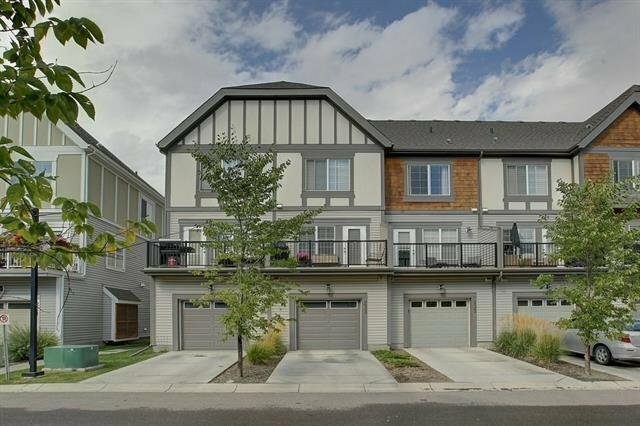 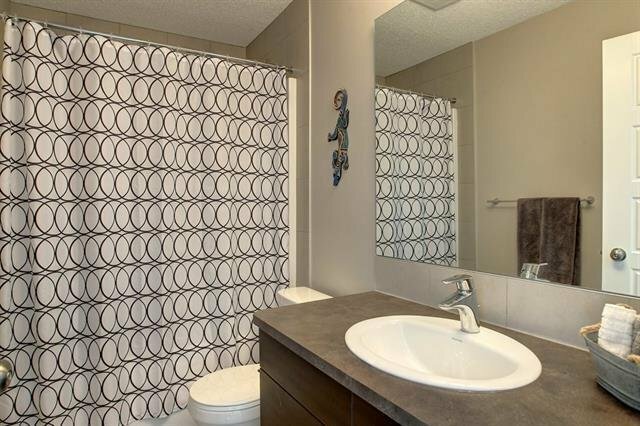 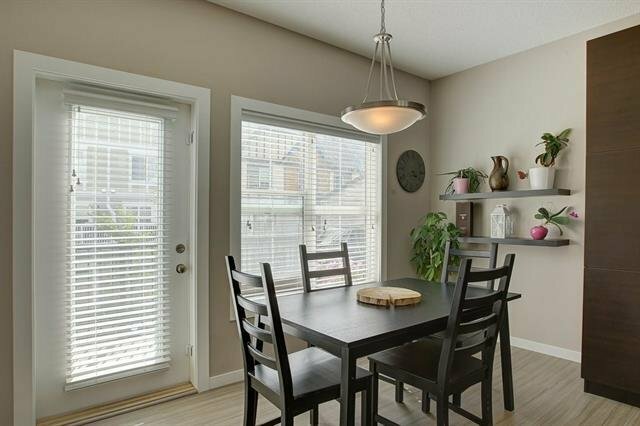 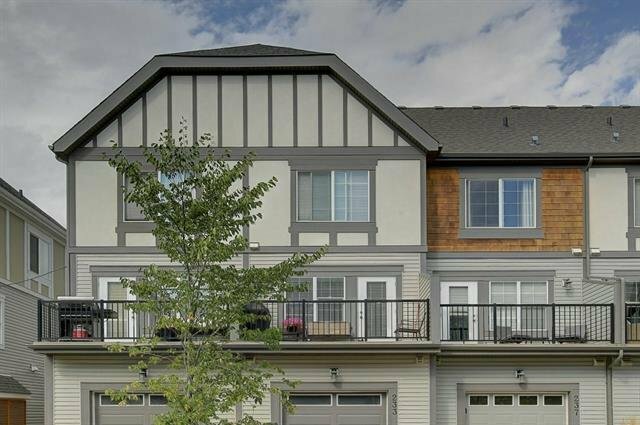 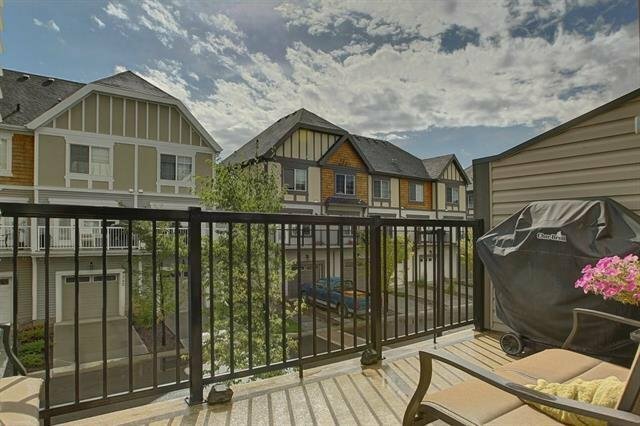 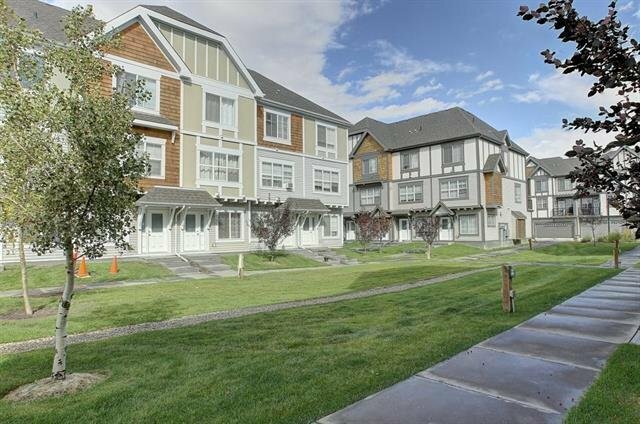 This bright 3-story condo with a private deck is functional & exudes comfort & class. 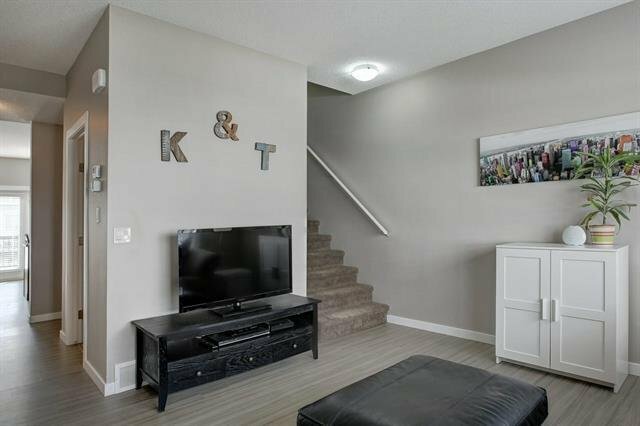 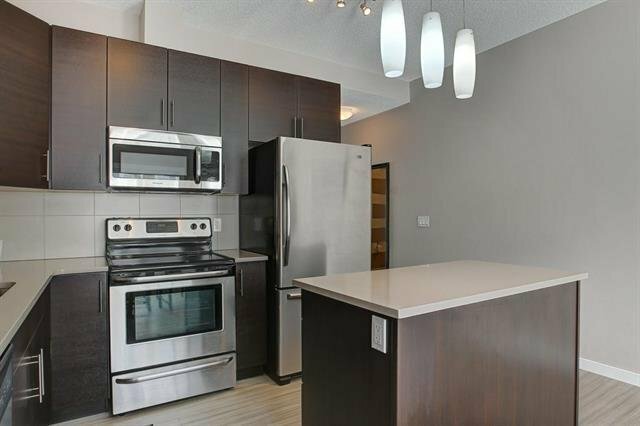 A perfect setting for relaxing & entertaining with 2 bedrooms, 2.5 baths, generous living space & stylish neutral finishes. 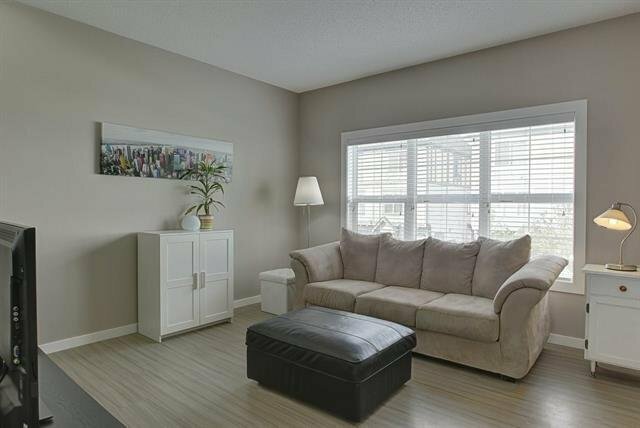 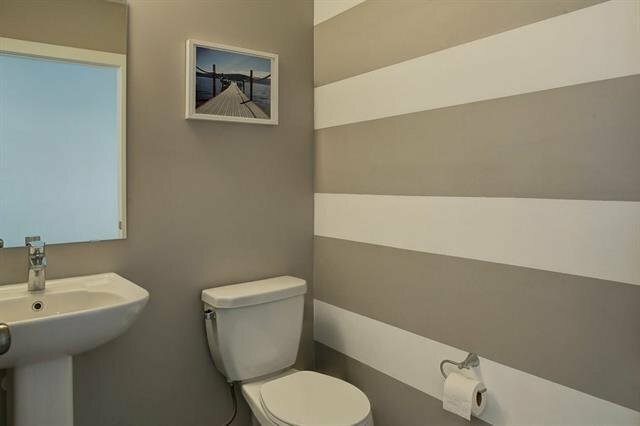 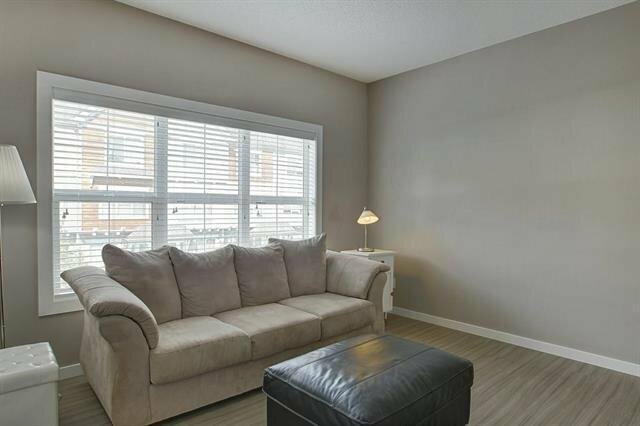 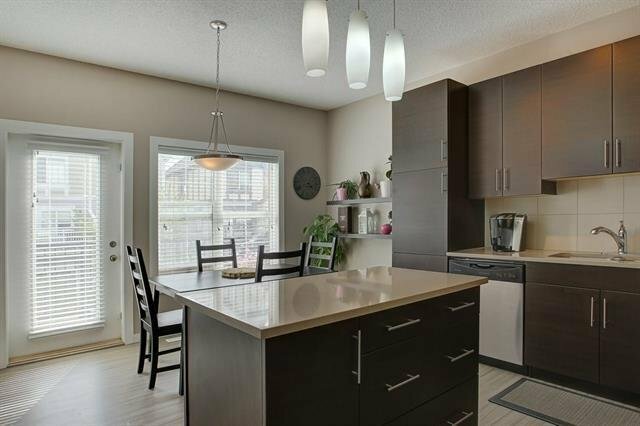 Beautiful grey-on-grey laminate floors & plenty of natural night flow throughout the home. 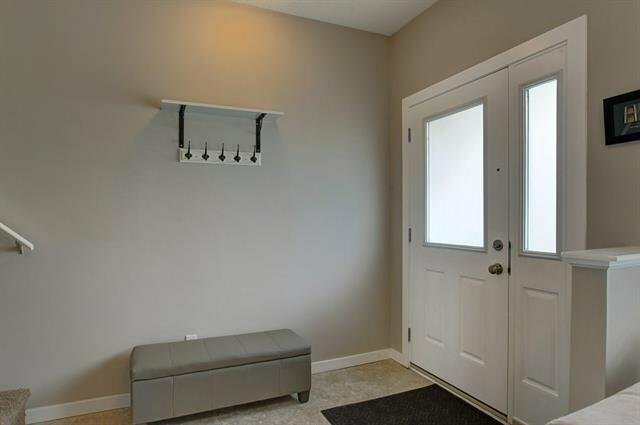 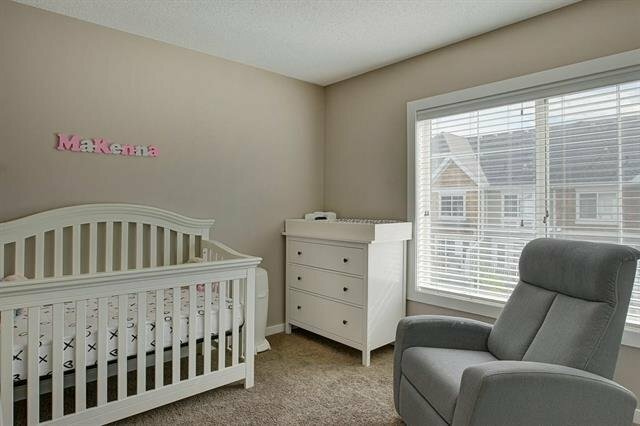 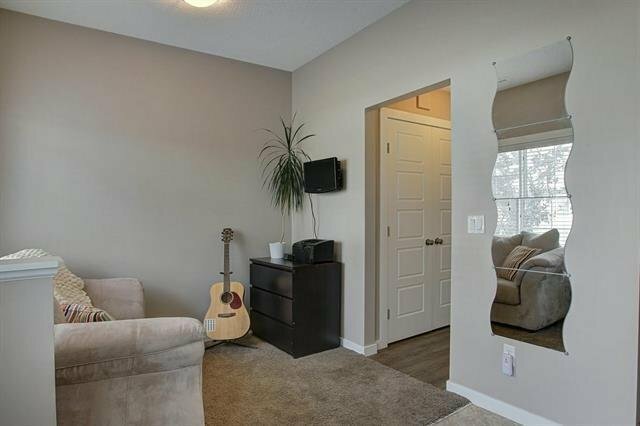 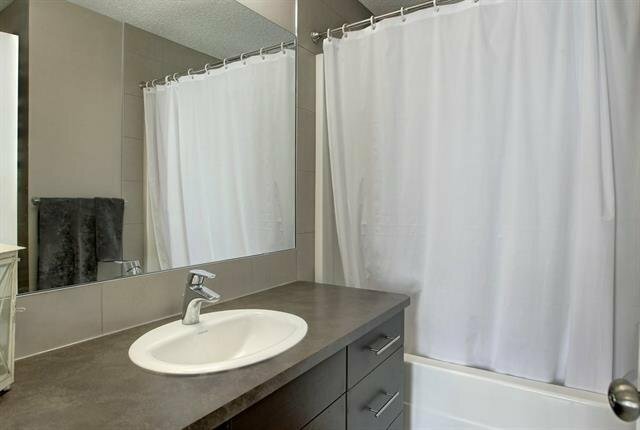 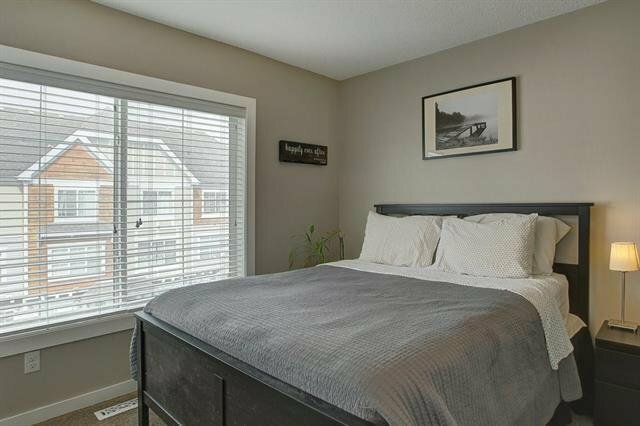 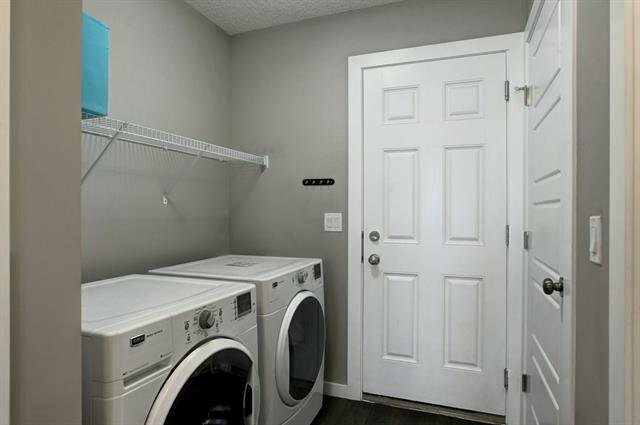 Other highlights: back onto green space, front load laundry, under stair storage, single attached garage plus exterior parking pad & plenty of closet space. 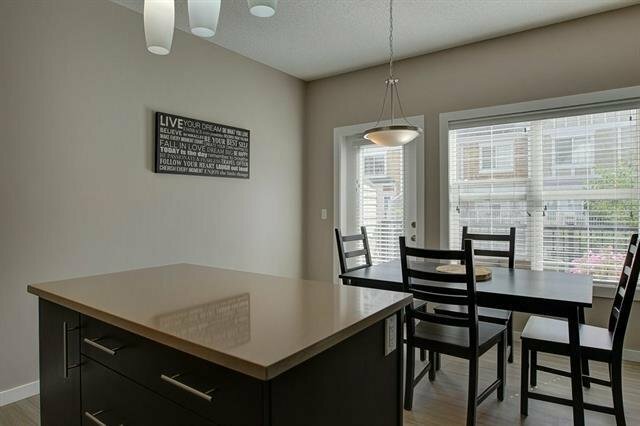 Enjoy gatherings in the open-concept kitchen & dining room finished with quartz countertops, stainless steel appliances, extended kitchen cupboards, 9ft ceilings & a patio door to the rear south-facing deck for your bbq & outdoor entertaining. 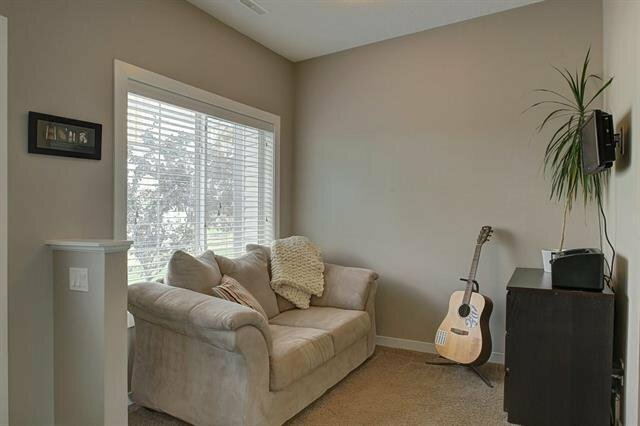 First-floor den offers extra flex space for an office, tv room or sleeping quarters. 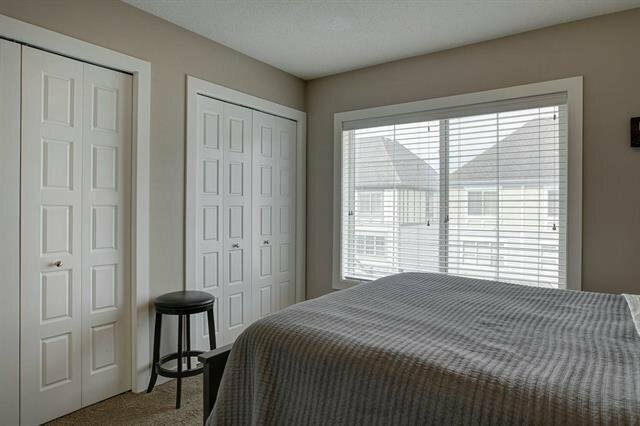 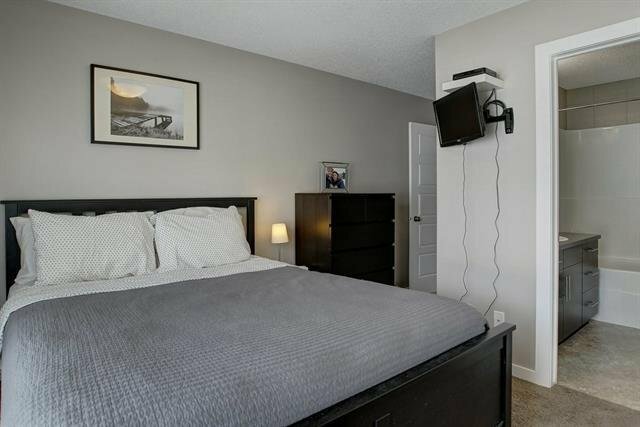 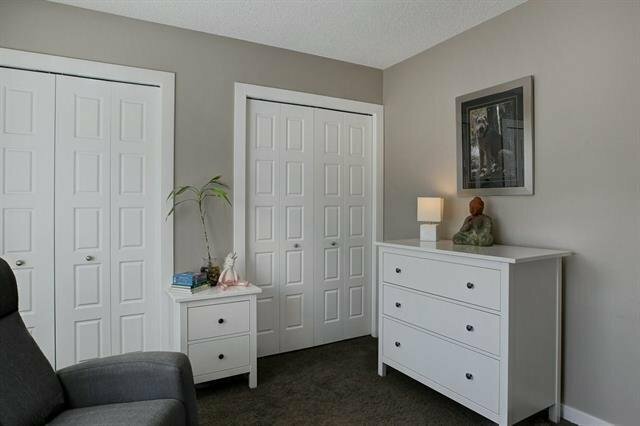 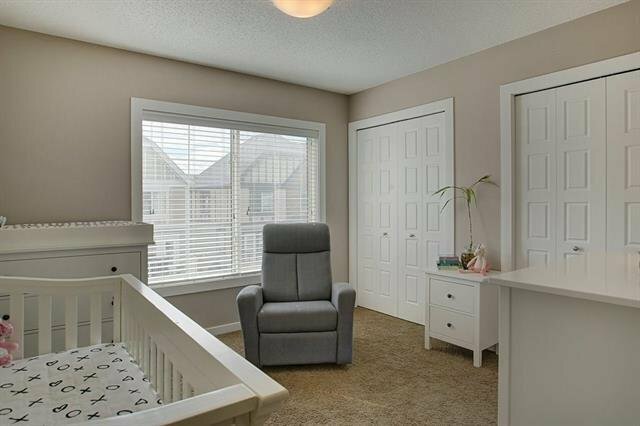 Dual master bedrooms have private baths and large closets. 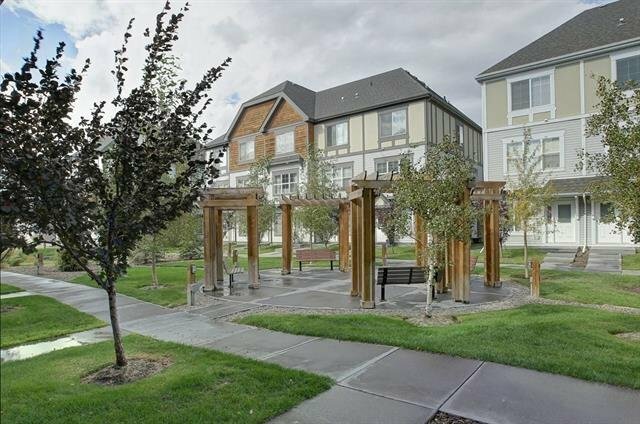 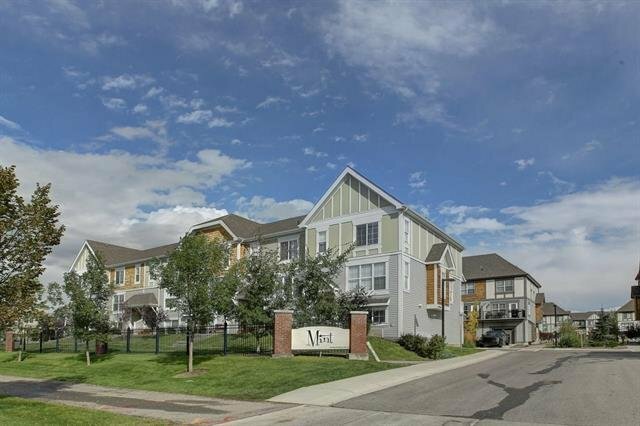 You'll love the convenience of visitor parking, New Brighton Association amenities & a great neighborhood with groceries, shops, bars & restaurants just a few minutes away.